Returning to the Moon has been a dream of many scientists and astronauts. Ever since the first astronauts set foot on the Moon in 1969, we have been looking for ways to go back to the Moon and to stay there. In that time, multiple proposals have been drafted and considered. But in every case, these plans failed, despite the brave words and bold pledges made. The first is that funding is the largest hurdle to overcome, which is understandable given the past 50 years of space mission costs. To put it in perspective, the Apollo Program would cost taxpayers approximately $150 billion in today’s dollars. Meanwhile, NASA’s annual budget for 2015 was approximately $18 billion, while its 2016 is projected to reach $19.3 billion. In the days when space exploration is not a matter of national security, money is sure to be more scarce. In truth, a number of advances that have been made in recent years are allowing for missions that would cost significantly less. This, and how a lunar base could be a benefit to space exploration and humanity, were the topics of discussion at the 2014 workshop. As NASA astrobiologist Chris McKay, who edited the New Space journal series, told Universe Today via email, one of the key benefits of a cost-effective base on the Moon is that it will bring other missions into the realm of affordability. Central to this are several key changes that have taken place over the past decade. These include the development of the space launch business, which has led to an overall reduction in the cost of individual launches. The emergence of the NewSpace industry, i.e. a general term for various private commercial aerospace ventures, is another, which has been taking recent advances in technology and finding applications for them in space. Activities on the base, which would be assisted by autonomous and remotely-operated robotic devices, would center on supporting field research, mainly by graduate students doing thesis work. Another key activity for the residents would be testing technologies and program precedents which could be put to use on Mars, where NASA hopes to be sending astronauts in the coming decades. Other issues discussed in the series are the location of the base and the nature of its life-support systems. In the article titled “Site Selection for Lunar Industrialization, Economic Development, and Settlement“, the case is made for a base located in either the northern or southern polar region. 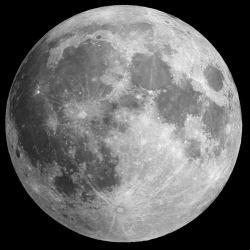 Written by Dennis Whigo, founder and CEO of Skycorp, the article identifies two potential sites for a lunar base, using input parameters developed in consultation with venture capitalists. These include the issues of power availability, low-cost communications over wide areas, availability of possible water (or hydrogen-based molecules) and other resources, and surface mobility. According to these assessments, the northern polar region is a good location because of its ample access to solar power. The southern pole is also identified as a potential site (particularly in the Shackleton Crater) due to the presence of water ice. Last, but certainly not least, the series explores the issue of economic opportunities that could have far-ranging benefits for people here on Earth. Foremost among these is the potential for creating space solar power (SSP), a concept which has been explored as a possible solution to humanity’s reliance on fossil fuels and the limits of Earth-based solar power. It sure is an exciting idea: returning to the Moon and laying the groundwork for a permanent human settlement there. It is also exciting when considered in the larger context of space exploration, how a base on the Moon will help us to reach further into space. To Mars, to the Asteroid Belt, perhaps to the outer Solar System and beyond. And with each step, the opportunities for resource utilization and scientific research will expand accordingly. It may sounds like the stuff of dreams; but then again, so did the idea of putting a man on the Moon before the end of the 1960s. If there’s one thing that particular experience taught us, it’s that setting foot on another world leaves lasting footprints!